Location: Parking available at the Lac du Flambeau trailhead (highway historical marker) located on Hwy 47 between Flambeau & Pokegama Lakes. Starting in downtown Lac du Flambeau, two paved trails wind through the surrounding lake country. 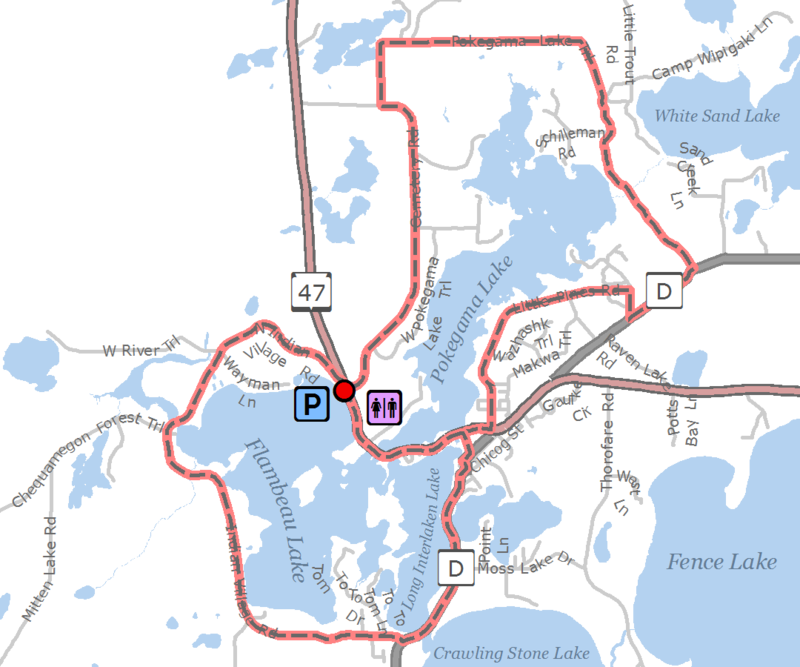 The first loop is around Flambeau Lake while the second loop is around Lake Pokegama. Using road connections, riders can also access trails in nearby Boulder Junction and Manitowish Waters.